Last week, I had the privilege of attending Inman’s Luxury Connect in Beverly Hills, and it certainly lived up to the name. The speakers, parties and estates were all so luxurious that it made my $2.1 million sale that week look like child’s play. Although the span of the entire event was barely longer than a 24-hour period, the consumption of information rivaled that of a week-long conference. For those of you who were unable to attend Luxury Connect (#ICLX), here is a “spark notes” version of the agenda and a digital scrapbook, if you will, of my experiences. Hosted by Douglas Elliman at the “most prestigious listing in Beverly Hills.” Once owned by Sonny and Cher, the Owlwood Estate is currently listed for $150,000,000. That’s right — nine digits. This opening party set the state for what was to come: lavish estates, top agents, networking and great food. This was one of the most interesting panels I’ve ever attended because it brought not only a top agent on stage but also his recent client. Gold sold Frankel’s $20,000,000 estate. Hearing live feedback straight from the horse’s mouth, as they say, was incredible. The biggest takeaway I got from this was to set proper expectations with your client prior to the home going on the market. In this particular sale, the listing agent was able to produce 41 showings in the first month that this $20 million home was on the market. Among these 41 showings were celebrities Jay-Z, Beyonce and Miley Cyrus. In addition to an unparalleled number of showings for this price range, the listing agent also got worldwide media attention from top publications — and the seller wasn’t happy. In fact, he almost fired the listing agent. The seller asked, “41 showings are great, but why not 91?” We can’t get mad at a seller for not understanding our industry. He didn’t know how unrealistic his expectations were. 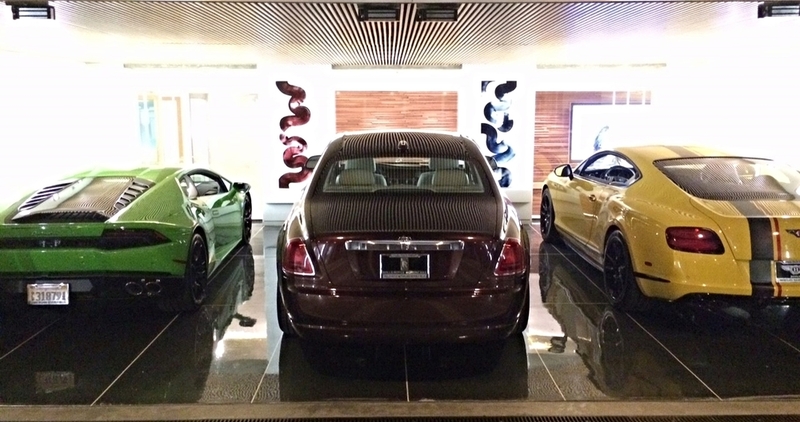 These three agents needed no introduction; they are absolute powerhouses in the luxury industry. There were so many great takeaways that we had to make a graphic for them. Most of us knew enough about Zillow, but one new important feature is a “languages spoken” section. Buyers are commonly searching for agents that speak a certain language, so if you are bilingual, make sure your profile shows it. O’Connor Abrams explained that at its base, the word “luxury” actually means “temporary satisfaction of pleasure,” so it doesn’t quite encapsulate what we are going after when we say it. She encouraged using words such as “prestige” (and I would add “opulence”) to expand on the affluence and comfort that better fit our market. First of all, seeing this married team speak almost makes me want to bring my wife into the business (key word: almost). They are adorable and seem to really have fun together selling homes. The Williams team is most recently known for a property video that went viral with over 30 million views online and a feature on “Good Morning America.” Including both filming and marketing fees, they spent over $40,000 on this video. They also stressed the importance of knowing your local inventory and uniquely marketing each home. “It’s about creating your own story,” Branden said. Drone usage will only get more accessible and cheaper for us agents. The laws against drones are not likely to put a damper on future use. These panelists spoke in detail about luxury real estate “road shows,” wherein agents travel to other markets to promote their listings. For example, Beall (an agent in Hawaii) hosted a 25-person dinner in San Francisco with a sommelier and jazz musician to attract Bay-area buyers to Hawaii. Other agents were taking this to the next level and even going overseas. This was absolutely fascinating, and I have already told many friends about this speaker. Hershfield spoke about the science behind what our brain does to plan for the future. They found that people see themselves in the third person when they picture the future. This point of view does the same thing to our brains that looking at a stranger does. Because our brain categorizes our future self as a stranger, it makes it difficult to invest in this stranger (long-term savings, exercise, eating healthy). Hershfield provided stories of further studies, but in the end, he said that a simple discussion with people to tell them that what their brains are doing produces great fruit in changing actions for the better. All four panelists had a ton to offer, and everyone wished this discussion lasted an hour rather than 15 minutes. Each shared the luckiest moment in their careers — but each story also involved an element of the agent putting themselves in the right place to succeed and taking action when necessary. Hildebrand gave examples of how he stuck out among all the other Realtors with his marketing and over-the-top open houses. He paid a professional sand castle builder for one of his beach listings. A major theme of this discussion was anonymity with high-end clients. Each agent had stories about ultra-wealthy clients that would require non-disclosure agreements prior to showings, attorneys that handled every aspect of the deal and secrecy that rivaled FBI status. The takeaway is to remain a trusted resource to your client so they can feel comfortable with your discretion. Gray is the new beige, and procedure rooms are the new hype in luxury real estate. Because who wants to have to leave their house to get Botox? Brady was a fireball who offered incredible information in her short time on stage. These two experts focus on syndicating listings and marketing material worldwide. The 2,000-pound gorilla in the room is China, so Toth’s company Caimeiju focuses strictly on the Chinese market. He explained that standard websites such as Google, YouTube and Facebook are all blocked in China so you must have a comprehensive and unique marketing strategy if you want to tap that market’s buyers. Lorimer was motivating as he spoke about the difficulties early in his career trying to change himself into the person he thought he had to be to get business. He found that life was much more enjoyable by being himself and working with the type of people he enjoys being around. Luckily for Lorimer, his friends in the music industry were affluent, and it skyrocketed him to top sales. The takeaway is to figure out who you want to be around and seek out that specific business. Mauricio Umansky and the The Agency rolled out the red carpet out for this after-party. The venue was a newly constructed $22,500,000 home (currently listed with The Agency) in LA. There were three levels — two above ground and one below. The private gym and downstairs bar shared a wall with the side of the pool so you could see the mermaid swimming around. (Yes, they hired a woman to dress like a mermaid and swim all night). The opposite wall was a glass viewing window into the museum-style garage which was stocked with a Lamborghini, Bentley and Rolls Royce. There were cocktail waitresses passing out bite-sized appetizers all night and a DJ blasting tunes. The night was filled with lots of networking, conversations and pictures posted to social media. A great way to end the entire event. (From left to right) Hadar Guibara, Dusty Baker (me), Caroline Pinal (GiveBackHomes), Roh Habibi (Bravo's MDLSF), Mary Bracewell (GiveBackHomes), Madison Hildebrand (Bravo's MDLLA) and James Barber. (From left to right) Matthew Zampella, Hadar Guibara, Dusty Baker (me), Rob Aigner (Keller Williams Beverly Hills) and Debbi DiMaggio. Guests enjoying the final party hosted by The Agency. Scott Wasner, Dusty Baker (me) and Roh Habibi. Roh Habibi, Dusty Baker (me) and Caroline Pinal goofing off at a $22.5MM estate. Dusty Baker (me) in the downstairs private gym posing with the infamous mermaid.